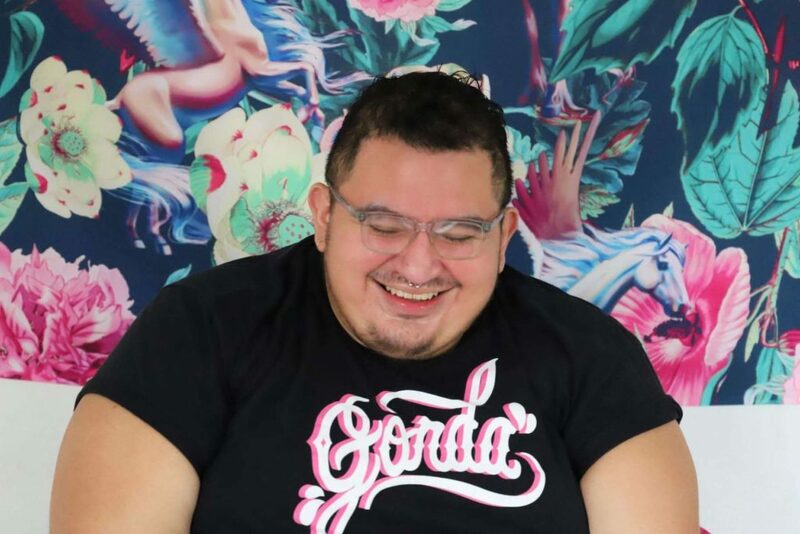 Caleb Luna is a writer, activist, teacher, performer, fat babe and Ph.D. student at the University of California, Berkeley, where their work broadly explores the intersections of fatness, desire, white supremacy and colonialism from a queer of color lens. Their current project focuses on the mutually constitutive relationship between (fat) bodies and discourse. You can find more of their writing on Black Girl Dangerous, Everyday Feminism and The Body Is Not An Apology. In this episode, Caleb talks openly and honestly about a wide range of topics. The dig into their thoughts about sizeism and fatphobia, and about the importance of expanding these issues beyond just how fat bodies are impacted to emphasize that these are issues that effect everyone. We also discuss the intersection of racism and fatphobia, and Caleb shares a little bit about how the current standards of body sizes are related to whiteness and white supremacy. We talk about some of the problems with the "love your body" movement, why desire and attraction are more political than they seem, and so much more. This is a rich and important conversation, and I'm so grateful that Caleb joined me for it. I hope that you enjoy learning from them as much as I did! Join the Real Talk Radio support squad over on Patreon (just $8 per 8-episode season!) and get immediate access to over 40 hours of bonus content plus other fun things.